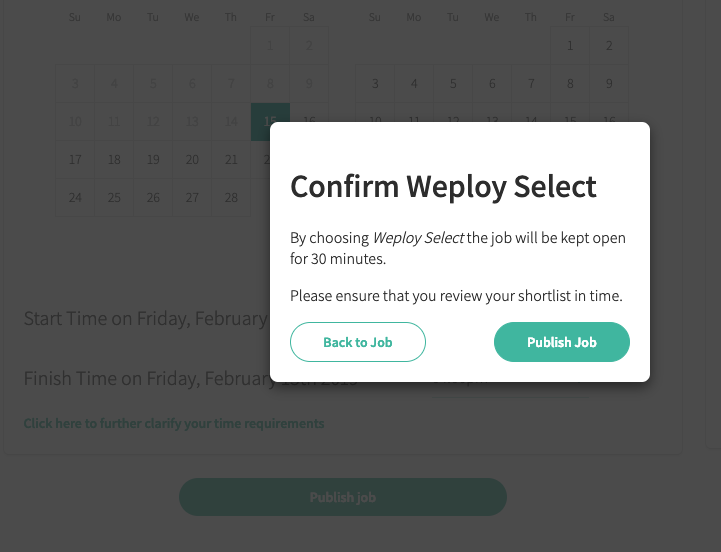 After extensive research amongst our Weployers, we've built an exciting new feature to the Weploy platform and are delighted to introduce: Weploy Select. 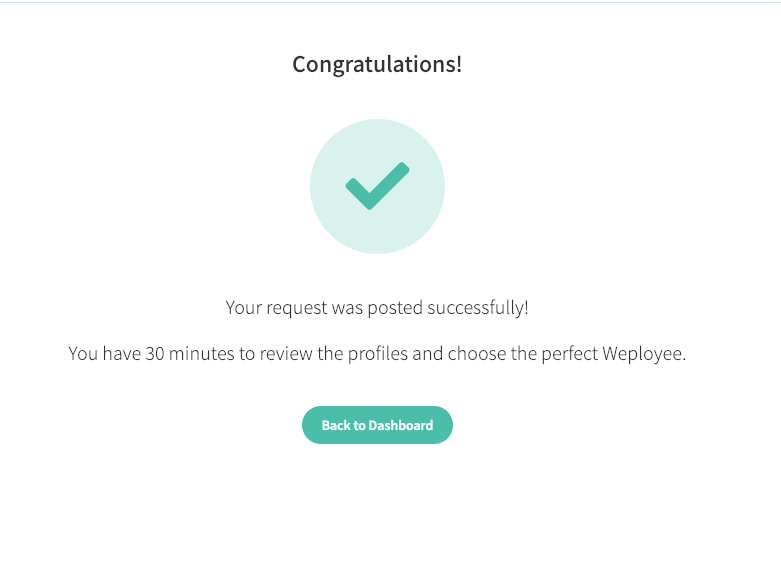 Whilst Weploy Direct matches you instantly to the best person for the job, Weploy Select provides you with a shortlist of up to three Weployees and you have 30 minutes to review the profiles and choose the perfect Weployee. 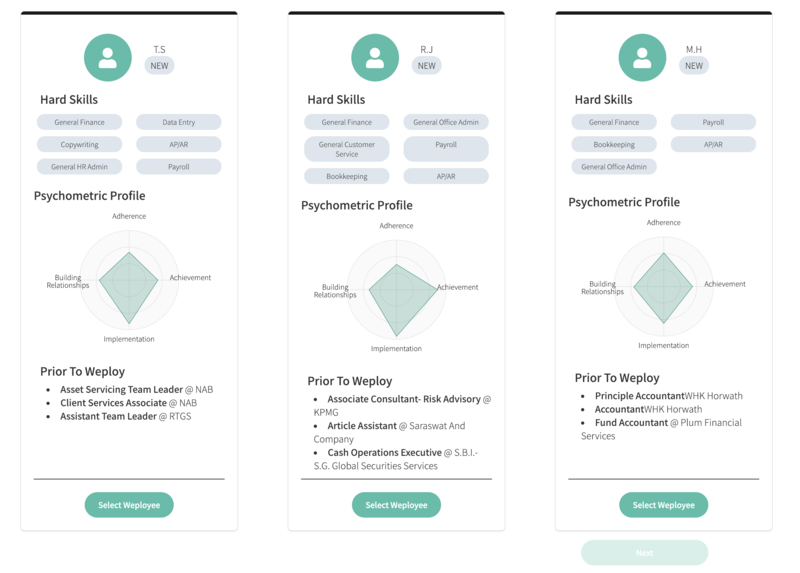 The profiles keep the user anonymous and provide the skills the Weployees has been vetted for, their psychometric profile as well as their most recent job experience outside of Weploy. Let's say a member of your finance team wants the whole month of August off. Don't panic! We can help you secure quality cover so you don't have to stress out about searching for, interviewing and hiring someone to help your business keep up with the BAU. 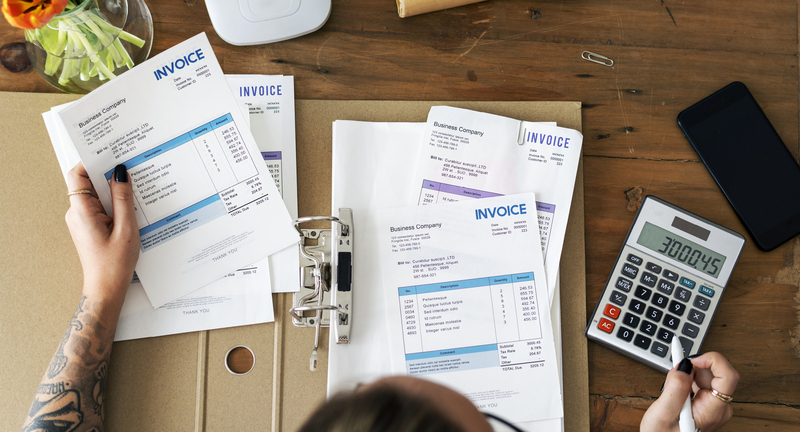 A few sentences will appear below each job with our overview of what might be required, but you can fill in more specific details about what you need them for and the 3 main tasks that will most help YOUR business here. 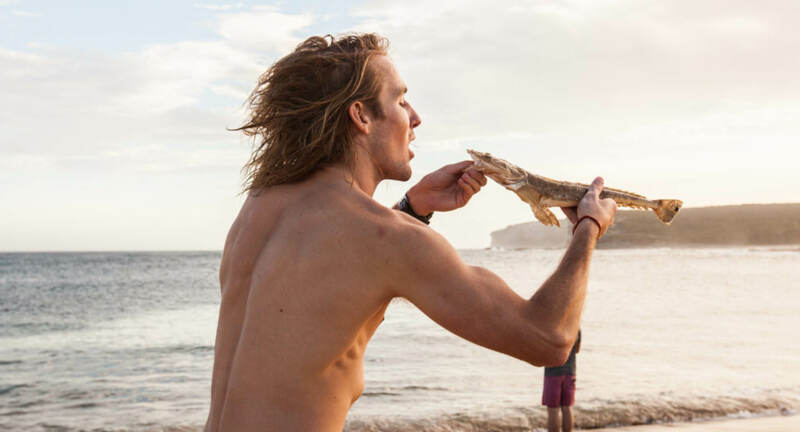 The more descriptive you are at this stage, the better chance our Weployee has to arrive fully prepped and ready to excel! Then, confirm you'd like to post the job and hit "Publish"
Your job is now live and being matched to the Weployees who match the skills outlined in the job form you filled in. 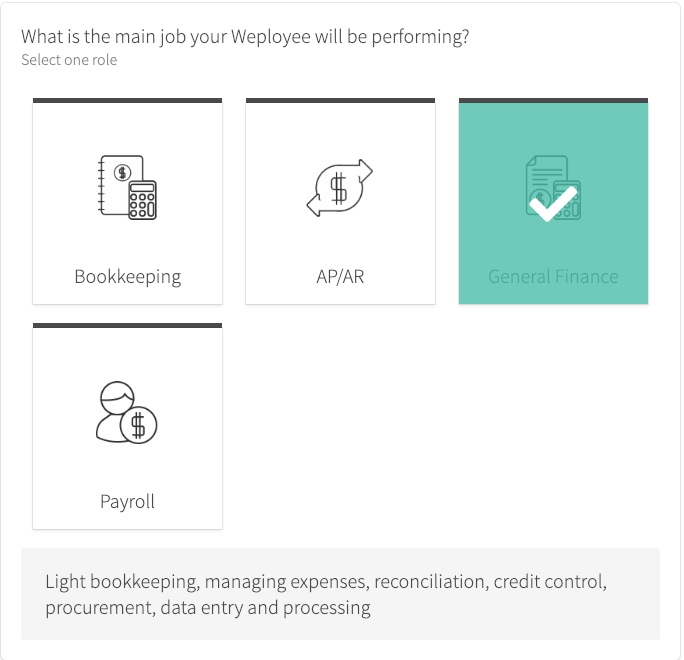 We give the Weployees 60 seconds to read the job request before they can look to accept so simply go back to the dashboard and within a couple of minutes you’ll see the skills matched Weployees who are nominating themselves for the job. Note that as part of our Blind Recruitment process, you're only able to read a candidates initials, but once you have selected your Weployee, you will have access to their contact details - feel free to give them a call or email with any information they might need to be successful. With a six stage vetting process looking at cognitive skills, emotional intelligence and past experience, we guarantee quality every time. Whether you choose Weploy Select or Weploy Direct, both are protected by our first day guarantee, which states that in the unlikely event that your Weployee is not performing to our high standards, we will replace them and cover the cost of the first day. 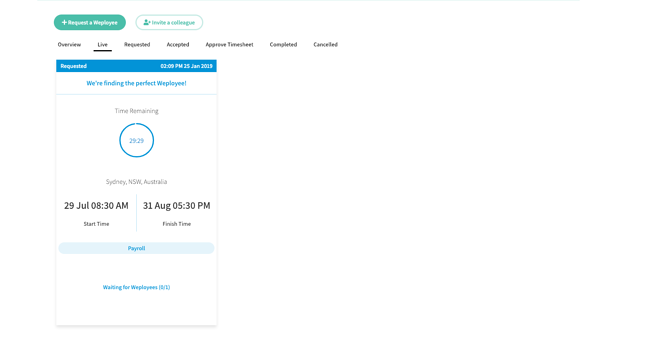 So - once you select your Weployee, you will be sent a more detailed profile with their contact details. Feel free to give them a call to confirm you're expecting them. 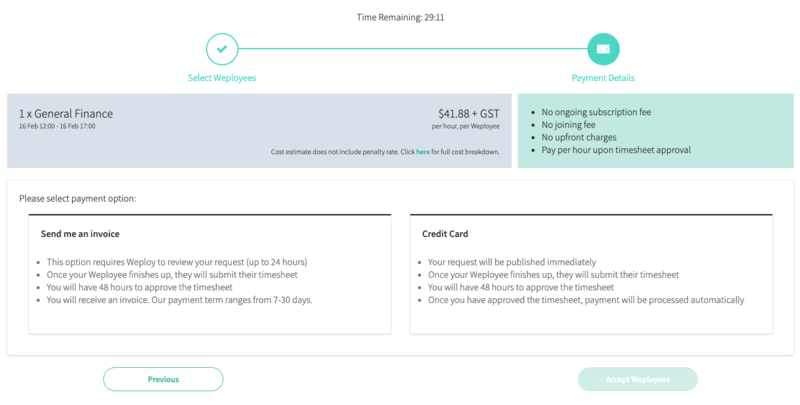 To complete your job post you will be shown two payment options either as an invoice or by credit card. If the job is quite short and the need is immediate, using a credit card will mean you can post the job immediately. If, like in this case you are posting the job in advance, you can choose to be invoiced later. 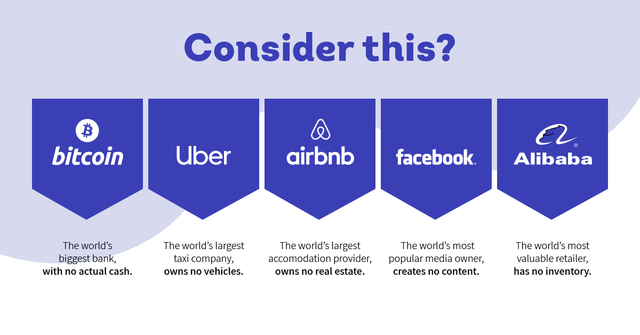 Simply add your ABN and we will review within 24 hours or less. 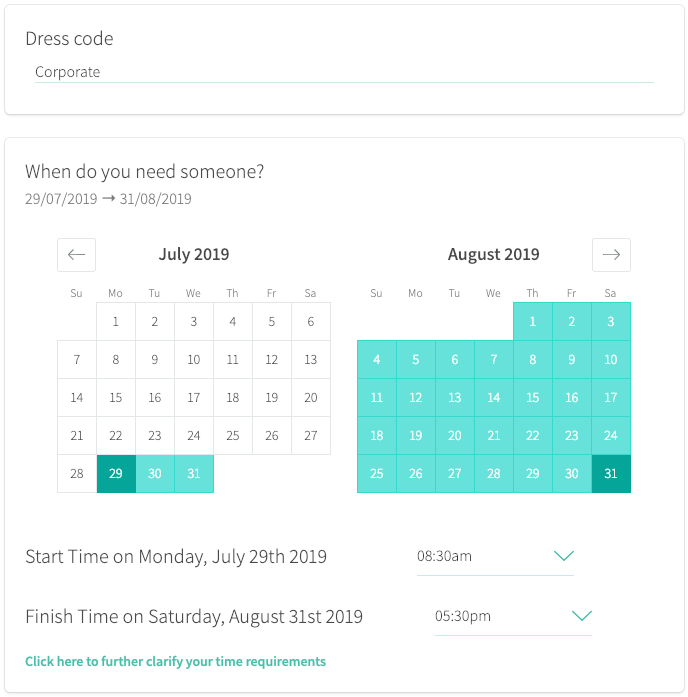 No matter if you’re looking for a bookkeeper or customer service rep - we've done all the hard work involved in selecting, interviewing and testing candidates for you, saving you time and helping you focus on what matters.